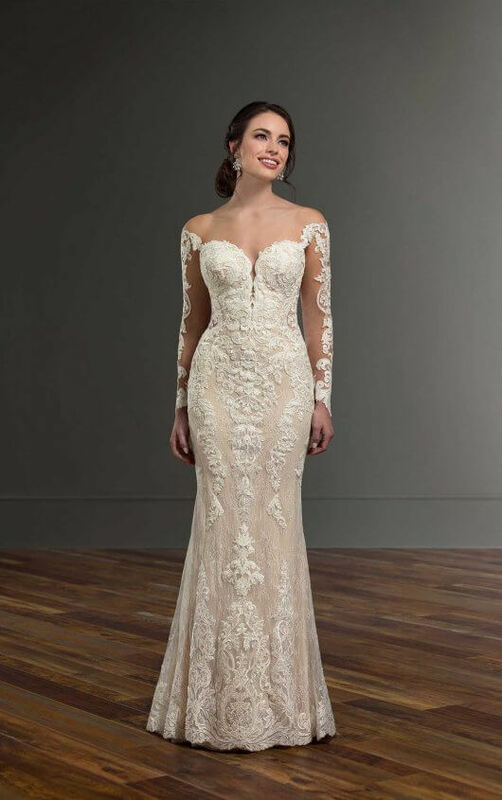 The lace on this gown is placed to sculpt throughout the body, creating an enviable shape. 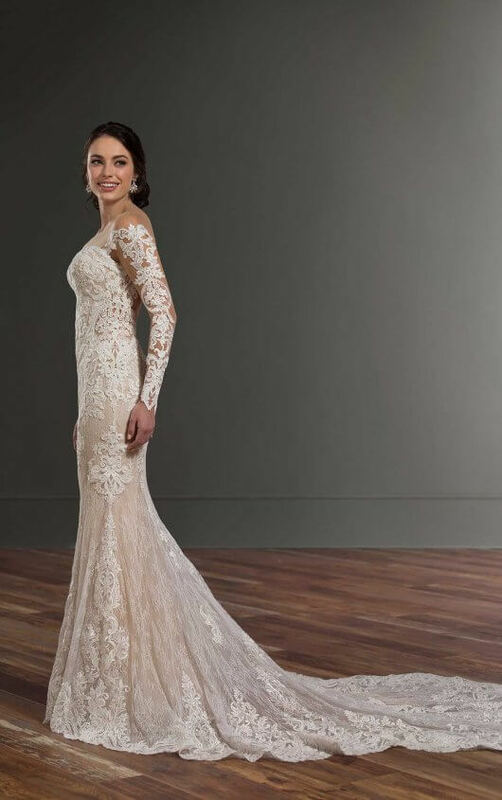 From sweetheart neckline, the lace of this gown extends out into an off-the-shoulder neckline that then extends into long, illusion-lace sleeves. Long cutouts highlight both sides of the bodice, continuing through to the completely open back of this gown. 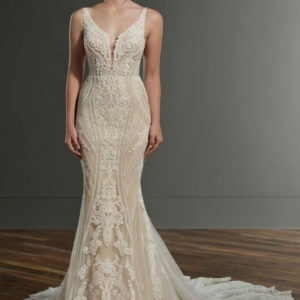 A scalloped-lace train completes the look perfectly. The back of this wedding dress with off-the-shoulder sleeves zips up beneath crystal buttons.